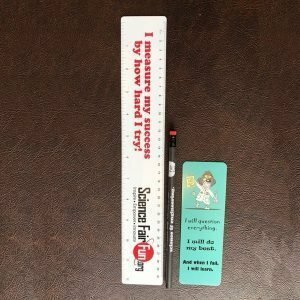 Tired of seeing the same old Science Fair projects copied off the internet that rob kids of their development and confidence in their STEM skills? We are! 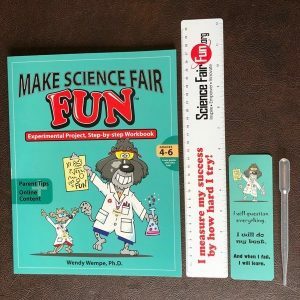 Get everything you need to lay the foundation for a fun, inclusive and skills-based Science & Engineering Fair at your school! You’ll save 10% off the cost of each item individually and on shipping. 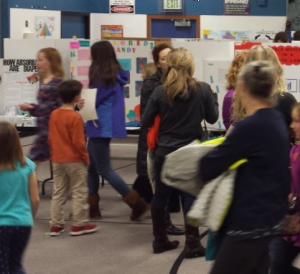 Want to see more student-led, authentic projects at your fair? Reward students based on their STEM skills, not perfection. Take your fair organizing to the next level with our IMPLEMENT Skills-Maker program. Whether you already host a fair and want fresh ideas for fostering more skills-based learning experiences, or you want help organizing and implementing your first fair, then we are here to support you every step of the way. Call into our Weekly Fair Organizer Q&A Live Teleconference to pick our brains and get fresh ideas. Use our Skills Assessment Tool that aligns with NGSS Science & Engineering Practices. Let us help prepare your judges to effectively assess grade-level, STEM-skills and provide constructive feedback with our Judge Guide and Judge Prep: Effectively Assess Students’ Skills.